When we think about improving our overall health, most of us don’t think about oral health first. Maybe not even second or at all! 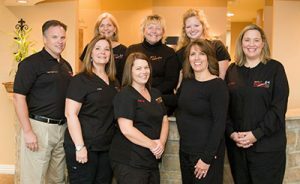 Dr. Postol and our amazing team are considered one of the best family dentists in Ballwin because we don’t just look at and treat symptoms. We care about your overall and long-term health. Gum disease treatment in Ballwin is a core part of our dental care. We believe that your dental health has a direct effect on your overall health. There is overwhelming research that shows how many of our chronic illness are directly related to our oral health. Just how much of a difference can treating gum disease and general oral health make? Some doctors say that good dental health can add as many as six years to your lifespan! Not only can taking care of your teeth and gums add years to your life, it can significantly improve the quality of those years as well. According to the Center for Disease Control, “One out of every two American adults aged 30 and over has periodontal disease. In adults 65 and older, prevalence rates increase to 70.1 percent.” With those percentages, there’s definitely room for improvement. A few of the most common ways that bacteria enter the body is by; simply swallowing saliva, especially first thing in the morning. Our mouths are also naturally very absorbent. The mucous membrane absorbs nutrients and bacteria alike. Lastly, when tartar builds up on the gum line, the natural blood barrier is weakened, allowing bacteria to enter into the bloodstream. These are just a few of the many ways that harmful oral bacteria is being shown to affect our bodies with a variety of health issues including; heart disease, strokes, diabetes, respiratory problems, pregnancy complications, rheumatoid arthritis, Alzheimer’s, cancer, and even memory loss. Fortunately for all of us, Periodontic medicine is proving to us that we have far more control over our overall health than we previously realized. Given that those with a severe Periodontal disease are 40% more likely to suffer from chronic diseases, preventing oral disease can make a lasting and significant impact on our lives. 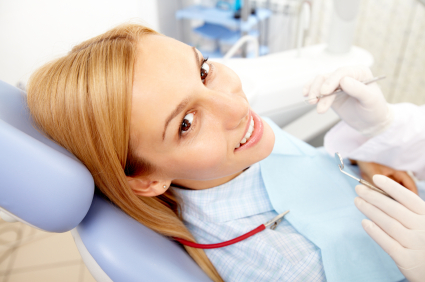 At Kevin F. Postol, DDS, we provide gingivitis and gum disease treatment. If your gums bleed while you are brushing and flossing, give us a call to make an appointment. Our friendly staff will be happy to help. Heading to the dentist for your first dental cleaning and checkup? It can be confusing and kind of scary if you don’t know exactly what to expect. Kevin Postol, DDS wants to demystify the dental cleaning process for you! Your Ballwin family dentist wants to make your experience as comfortable and enjoyable as possible. Here’s what you can expect from a simple dental cleaning from one of the best dentists in Ballwin, Missouri! Even if you follow a daily brushing and flossing routine, we still recommend that you come in for a checkup and cleaning twice a year. Regular dental cleanings keep your mouth looking healthy and free of cavities. Not only that, they can help prevent (or detect!) any kind of gum disease or oral cancers. Visit your Ballwin family dentist, Dr. Kevin Postol, for a quality dental cleaning today! What Can I Expect from a Dental Cleaning? Before your appointment begins, a dental hygienist will ask you about your overall and oral health. We ask these questions to make sure we give you the kind of care that you need! Typically, we will take dental X-rays to check for any issues. Because the cleaning is so hands on, if you have a gag-reflex sensitivity, let one of us know so we can make the process more comfortable for you. Next, we will use a scaler (a metal instrument with a small blade on the end) to scrape away tartar below your gum line. We can remove tartar and check for bleeding or swollen gums, as this may be a sign of gum disease. A regular toothbrush doesn’t remove plaque and tartar like our tools do! Then, we’ll rinse away the plaque or tartar, and we will finish by polishing your teeth with a slightly abrasive toothpaste, and finishing off with flossing. Once your teeth are clean, Dr. Kevin Postol will examine your mouth. He’s looking for areas of disease or decay. He’ll check the size of your gum pockets, and evaluate your jaw and teeth for bruxism (teeth grinding) or any issues with TMJ. Dr. Kevin Postol is one of the best dentists in Ballwin, Missouri! If you are ready to take charge of your dental health, make an appointment for a dental cleaning at our offices! Call (636) 238-3197 to make your appointment today! 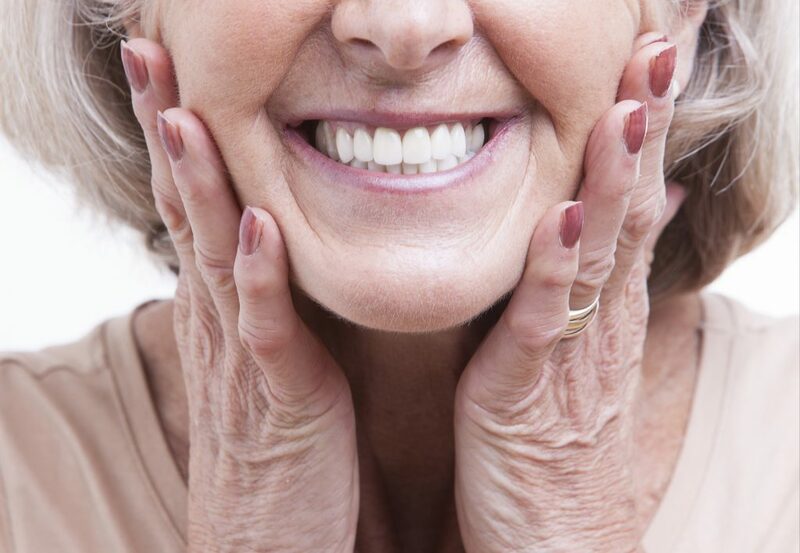 If you have missing or broken teeth, you may be thinking of getting dental implants! But you probably have a few pressing questions regarding the success rate of such a procedure. Believe it or not, dental implants have a success rate of over 95%, and they are well designed to last a lifetime when placed by an experienced periodontists, or an implant surgeon.If you are looking for one of the best cosmetic dentists in Ballwin, Dr. Kevin Postol comes highly trained, and highly regarded. Dr. Postol is committed to making sure his patients learn to love their smiles again. A reliable and effective solution for tooth loss. All natural looking. They look (and feel!) just like a real tooth would! Easy to adapt to. Implants do not require a change in oral care or eating habits. Expensive but extremely long lasting! 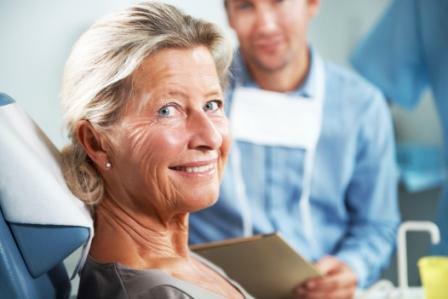 When cared for properly, a dental implant can last a lifetime! Bridges and dentures may only last up to a decade at a time. A less noticeable option to dentures. Patients with implants can chew and talk without any other denture-related issues. Dental implants are one of the most effective ways to repair (or hide) missing or broken teeth. In fact, dentists everywhere say that the success rate for dental implants is only expected to increase, instead of decreasing like the success of other dental procedures. If you feel like you may be a good candidate for the procedure, contact our offices in Ballwin, Missouri today. Dr. Postol is one of the best around for dental implants in Ballwin, MO and is excited to determine if the surgery is a good fit for you and your dental health. A St. Louis native, Dr. Postol has served the public for 24 years and is always learning new dental techniques to best treat his patients, and it is obvious in his treatment methods and office technology. When it comes to dental care, you can never be too careful. Too many people neglect their teeth and gums, and it’s easy to do around the holidays. Caring for your teeth is one of the best holiday gifts you can give yourself! On top of keeping your teeth healthy, we also want to make sure you travel safe this holiday season. Here are some safety tips from your Ballwin family dentist so your holiday travel is stress-free! While the weather may look great one day, it can change quickly. You may need to handle changing weather patterns that could delay your flights. If you are planning to fly the same time as other travelers, you can expect delays. This busy time of year always has delays in security lines, plane boarding times, and more. Weather apps on phones are one of the best ways to track storms. Most airlines provide updated travel times on their apps and emails to keep travelers in the loop. 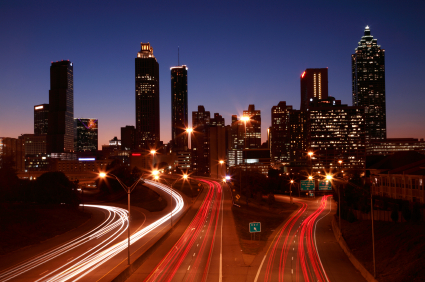 If you are hitting the road this holiday season, head out early! Not only do you want to get a jump on the traffic, but leaving in the early morning hours will significantly decrease the likelihood of congestion and traffic accidents. If you are traveling in an area with snow, consider getting snow tires. Packing some chains and tow-ropes are wise ideas if there are may be serious snow on the roads. Get an emergency roadside kit with water, food, warm clothes, and a first aid kit in case you get stranded. When traveling, it is important to have your devices charged. You could be sitting in the airport for hours, so it helps to have some books to read or things to do so you aren’t bored. Pack an extra charger for your devices, so you can plug in while you are waiting at the airport. If you have kids, bring headphones for them to use when they are playing on devices, so they do not disturb other passengers. If you really want to be prepared for holiday travel, take the time to pack early. You don’t want to forget something essential, like your toothbrush and toothpaste! Failure to keep up with your daily dental routine will put you at risk for tooth decay and gum deterioration. It doesn’t take long for bacteria to start invading and causing a handful of oral health issues. If you have any end of year dental items to take care of, call your Ballwin family dentist today to schedule your appointment. The last thing you want to do is travel with a tooth on the edge of a root canal! Create a list of everything you use on a daily basis, and pick up some smaller travel-sized items to save on baggage space. Our last tip is to call the one of the best dentists in Ballwin to schedule your dental cleaning at the first of the year! Getting a jump on your oral health is the best way to prevent serious oral health issues. Who Knew? Pumpkins are Good for Your Teeth! 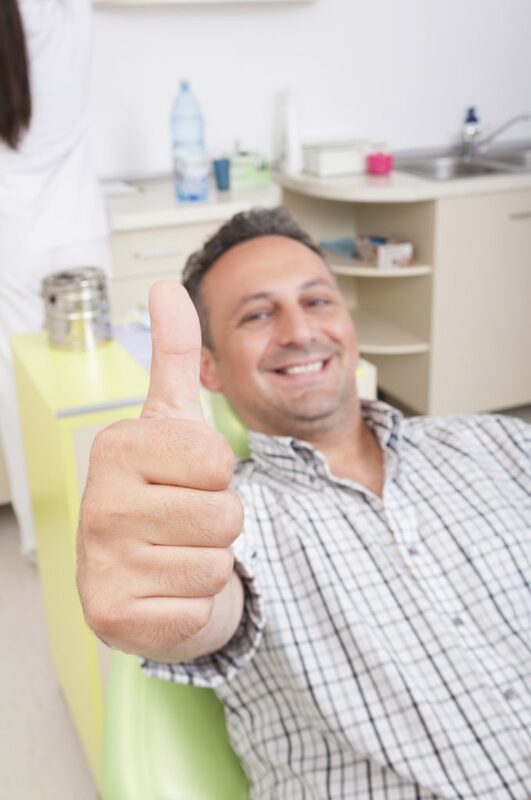 At Kevin Postol, DDS we love to help our patients make good choices when it comes to their dental health. With Thanksgiving fast approaching, it is definitely a time of year filled with lots of food, treats, and abundance. We like to educate our patients on food choices that can benefit their dental hygiene. 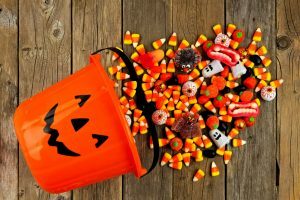 With fall in full swing, one of the ingredients many people don’t realize is good for their teeth is pumpkin. This is great news because pumpkin is a staple ingredient of November and Thanksgiving. Who doesn’t love pumpkin pie or a pumpkin bread confection? Pumpkin is Good for You! Pumpkin is yummy, and it is good for your health in many ways. This is because it is a nutrient-dense food. This vegetable is full of vitamins and minerals and is also low in calories. 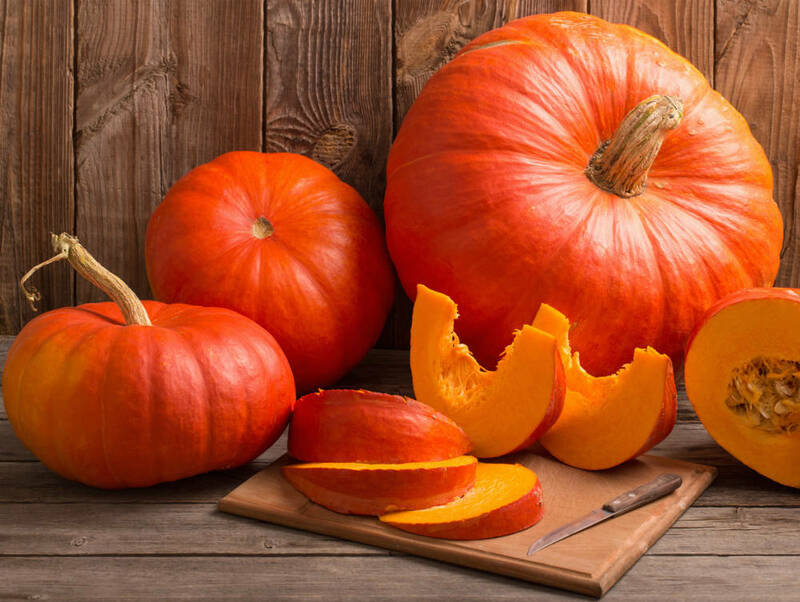 The USDA National Nutrient Database found that just 1/2 cup of cooked pumpkin has 1.8g of protein, hardly any fat, and only 40 calories. Along with this, it also has nearly 3g of fiber which is great because fiber helps you feel full longer, which can help with diet and eating less. Pumpkin also has other nutritional benefits. When it comes to vitamins and minerals, pumpkin can provide you with more than 100% of the daily dose needed for Vitamin E, riboflavin, potassium, and manganese. Pumpkin also contains magnesium, zinc, and more. How Does Pumpkin Help Your Oral Health? The zinc in pumpkin helps keep bones strong. Zinc deficiency can cause weakened bones and anemia. An ounce of roasted pumpkin seeds gives you a third of your daily needed zinc. Pumpkin also contains magnesium which is great for tooth enamel. Magnesium works like calcium to build a hard enamel that resists tooth decay. Magnesium is a key element in bone production, too. Vitamin A is also found in pumpkin. This vitamin promotes healing which can help if you have damaged gums. 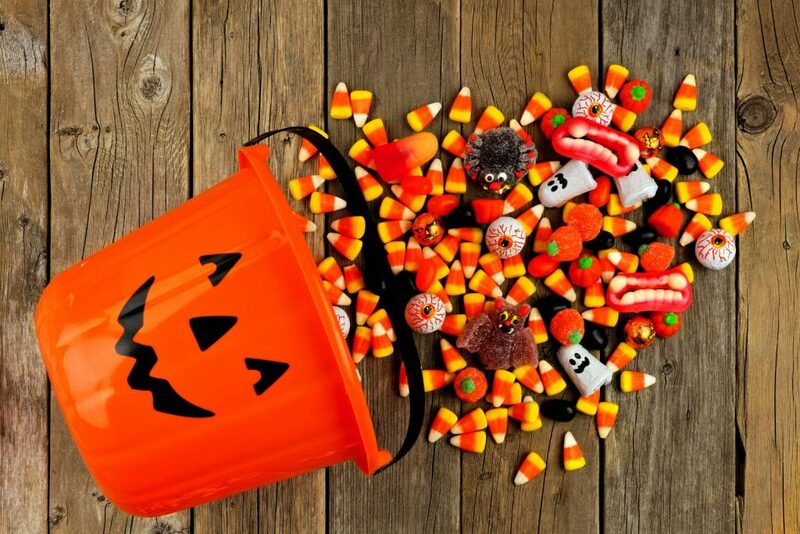 Keep in mind that pumpkin flavored treats and spices don’t have these benefits. So, you need to ensure you have actual pumpkin ingredients and that you are getting to the source. As your Ballwin, Missouri dentist, Kevin F. Postol, DDS provides both family and cosmetic dentistry services to the area. 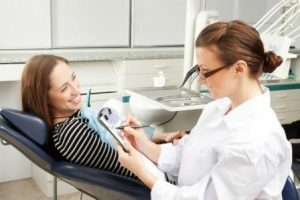 If you are new to the area, or just looking to find a new dentist, it can sometimes be hard to know how to pick a trustworthy, high-quality dentist. You want to find someone you can trust to listen to your concerns and provide you with compassionate care. You want to find an office with a dental team that makes you feel comfortable and at ease. Also, you want to be sure you are getting up-to-date treatments and procedures that are safe and effective. With our office, you know you are getting all of these things. Dr. Kevin Postol grew up wanting to be a dentist. He has always known that the relationship between the dentist and the patient is just as important as the actual procedure. With over two decades of experience, he has made treating each of his patients like family part of his practice and motto. He also spends time each year learning about new dental practices and technologies and participates in training course to continue his knowledge and expertise. He has received the Diplomat status from the American Academy of Dental Sleep Medicine and is one of only a couple hundred people in the world to do so. Finding a dentist who is engaged in the Ballwin community is also important. Dr. Postol donates his time with Give Kids a Smile and the Missouri Mission of Mercy. At our office, we value your time and your smile. We do everything we can to provide the best cosmetic and family dentistry procedures and practices available. Our whole team is friendly and knowledgeable. They greet you when you walk in the door and provide a warm, welcoming atmosphere. We always encourage asking questions and will take the time to listen to your concerns. If you are looking to find a new cosmetic or family dentist, give us a call to schedule a consultation with Dr. Kevin Postol. He will talk to you about what you’re looking for in a dentist and the oral hygiene concerns that you have. A consultation is a great way to visit our office, meet our staff, and get a feel for what we are all about. Give us a call today! At Kevin F. Postol, DDS, our team is committed to giving each one of our patients the attention and care they deserve. When you are in our office, we will listen to your oral hygiene needs and do everything we can to treat you individually. We are also committed to providing our patients with education on how to have better oral hygiene. One issue that our patients often ask about is bleeding gums when they brush or floss. Here is an overview of this issue, its causes, and what to do if this happens to you. Why do gums bleed after you brush and floss? 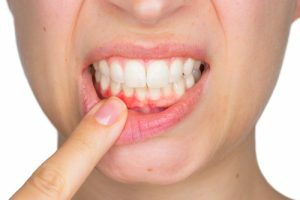 Have you ever been flossing your teeth and noticed that your gums were starting to bleed a little? This can be a bit shocking, and it might lead you to believe that flossing makes your gums bleed. Maybe your gums started bleeding after even brushing your teeth as this can also happen. It is not actually brushing or flossing that is the root cause of this. While brushing and flossing can make the bleeding start, it is not normal for gums to bleed after regular, gentle brushing and flossing. If they are bleeding, it is likely due to the early onset of gingivitis. Bleeding gums are often caused by plaque not being removed often enough. Plaque is full of germs which go after the healthy, normal tissue and cause gums to get infected. These germs can weaken the gum tissue and cause bleeding when you brush or floss. This is called gingivitis. Gingivitis is also known as the first step, or stage, of gum disease. Since gingivitis usually does not hurt, you might not even notice you have it. Bleeding gums might be the only symptom you have. So, while brushing and flossing might cause your gums to bleed, it is not a reason to stop brushing and flossing. In fact, this symptom shows up often during flossing if you are not a person who flosses regularly. If you have noticed this happening to you, please come into the office to see us. We can treat gingivitis and help you make a treatment plan to prevent the issue from getting worse and becoming periodontal disease.